Disney movies have been in existence for decades. They are some of the most loved children’s movies to have ever been brought to life on the big screen. A vast number of them feature princesses. Each from a different land, and each in an entirely different situation. The popularity of the genre has encouraged online game creation featuring the much-loved Disney princesses. While not a princess as customarily known by those who live on land, Princess Ariel is a princess of the ocean. Her father King Neptune rules the world underwater. 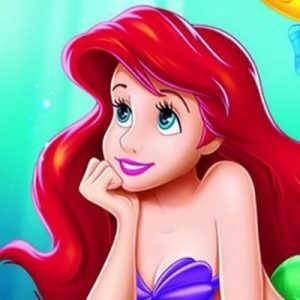 Princess Ariel is beautiful, her slender figure, long red hair, and aqua eyes are enchanting. This little princess has a mind all of her own. She is confident, curious, bubbly, and charismatic. Her free-spirited nature and headstrong approach to life lead her on adventures that allow her to reveal her compassion, determination, and bravery. The mystical and beautiful Princess of Agrabah is of Arabian descent. The princess is tired of a life where she isn’t free to make her own choices or choose her own fate. She longs for the freedom to just be happy. Jasmine in a loving, selfless, and romantic princess who display characteristics of an adventurous, and free-spirited nature. She is fearless, and headstrong in her pursuit of a life she longs for. Snow White is one of the original eight Disney princesses. Her pale skin, rosy cheeks, red lips, and brown eyes make her possibly one of the plainest princesses to date, however, her beauty never fails to shine through. Regardless of her lot in life, and the evil stepmother that seeks to kill her, she is optimistic, gentle, and loving. Snow White does succeed in the end. She defeats her evil nemesis and finds her true love in the process. Happily ever after starts here.